Kansas City, Mo. 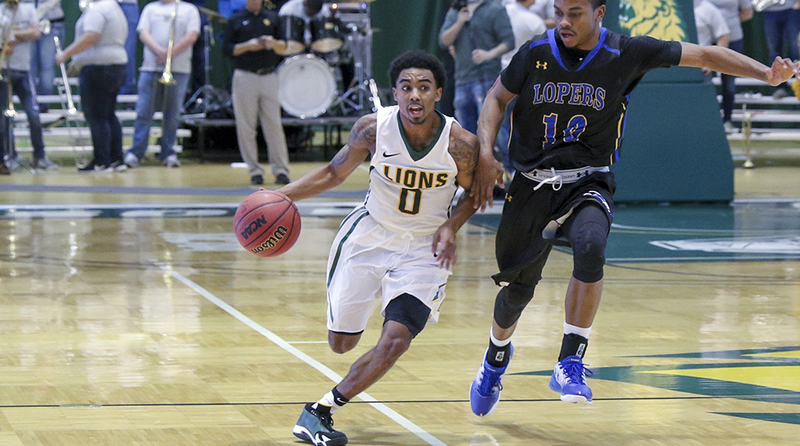 — Missouri Southern junior guard CJ Carr has been named the MIAA Men’s Basketball Co-Athlete of the Week as announced by the league office today. Carr, a 5-8 native of Rock Island, Ill., helped the Lions remain perfect in MIAA play with two road wins this week against Lindenwood and Lincoln. On the week, Carr averaged 21.5 points, 3.0 rebounds, 5.0 assists, 2.0 steals and shot 40 percent from the three point line and 95 percent from the free throw line, while averaging 39 minutes per game. In the first game against Lincoln, Carr scored 24 points, going 11-12 from the free throw line and added four rebounds, five assists and one steal, playing all 40 minutes of the game. With the game tied at 42, Carr helped spur a 9-0 run that saw him contribute a three pointer, an assist and a rebound. At Lindenwood, Carr scored 19 points, while going a perfect 8-8 from the free throw line with five assists, three steals and two rebounds. In that game, with Southern leading by just four at the break, Carr helped Southern start the second half on a 13-4 run that would put the game out of reach. Carr and the Lions are off for finals week but will be back in action on Dec. 19 when the Lions play host to Arkansas Tech in non-conference action. Tip off is slated for 6 pm.